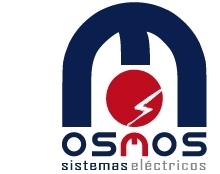 Legal Notice www.osmos.es domain corresponding to Osmos Electrical Systems SL, with CIF number B15804107 and registered in Polígono Industrial de Alvedro. C / J-27 - 15180 Culleredo (A Coruña). Osmos S.Lse Power Systems reserves the right to make changes to the website without prior notice in order to update, amend, modify, add, edit or delete content or web design. The services and web content are likely to be updated regularly and because the update of the information is not immediate, we suggest that you always check the validity and accuracy of the information, services and content contained here. The design of this website, its source, logos, images, melodies, trademarks and other distinctive signs appearing, codes belong to their respective owners and are protected by the corresponding intellectual and industrial property. The use, reproduction, distribution, public communication, transformation or any other similar action is prohibited unless authorized in writing by the creator or copyright owner. Osmos Electrical Systems SL expressly prohibits the making of "framings" or the use by others of any other mechanisms that alter the design, original web form or content. On the web advertising that Osmos SL Power Systems advertisers or third parties that we believe may be of interest to be inserted. However, Osmos Power Systems SL informs you that advertisers and suppliers through cookies may be able to obtain information about you, which makes use of the services and their movements across the network. With no connection to the uses of this information can make the advertising company, Osmos Electrical Systems SL is not responsible for the collection of information by these companies. Member acting against the image, good name or reputation of Osmos Electrical Systems SL and who use illegal or fraudulent designs, logos or content of the website and / or infringes in any way upon the rights of intellectual and industrial property website or the contents and services of the same, shall be liable to Power Systems SL Osmos his performance. Osmos SL Power Systems has created the web to promote their products and / or services, but can not control the use of it other than as provided in this Legal Notice, therefore, the access and correct use of the information contained on the website are the responsibility of performing these actions, not being responsible Osmos SL Power Systems by misuse, illegal or negligent thereof may be made by the user. 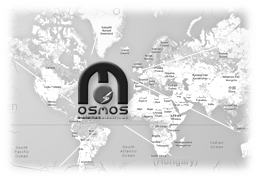 Osmos Electrical Systems SL provides all the contents of its website, under certain conditions in good faith and endeavor as far as possible so that they are current and in force; however, Osmos SL Power Systems can not assume responsibility regarding the use or disclosure made by users outside the area in which the site is directed, the final responsibility lies with the user. Osmos Electrical Systems SL also can not control the content that has not been made by it or any third party to fulfill its request so that it will not respond in any case of damage, and unavailability technical content that may be caused by such third parties. The applicable law in case of dispute or conflict of interpretation of the terms in this legal notice, and any matter relating to the services of this website will be Spanish. For the resolution of any disputes that may arise in connection with the visit to the site or use of the services it can offer, Osmos Electrical Systems SL and the user agree to submit to the judges and courts of the province of A Coruña . In compliance with the Organic Law of Protection of Personal Data (LOPD and RDLOPD), we inform you that your personal data collected through the web, using forms or links to email, will be treated for the purposes of: management leads, contacts and future marketing, and can be accommodated in the corresponding files. Finally, we inform you that your data will be preserved in the files of our company in order to make a commercial track and keep you informed (about the services and products that may be of interest) by mail, by telephone or other any electronic means that you have provided us.